Machined aluminum enclosure, unprecedented attention to every detail, and world-class components are used to create a device that not only inspires and supports creativity but also guarantees seamless and stable operation. In the box, you will find one beater, one controller (capable of controlling one beater), one clam and noiseless power supply. You can daisy-chain as many units over the MIDI protocol as you need. Everything you need to start playing is included in the Perc kit. A single unit controller, one beater, one clamp, the dedicated AC adapter, USB connector cable and a short manual are what you'll find while unboxing. Now you just need your basic drum kit or anything that's in the kitchen or garage. 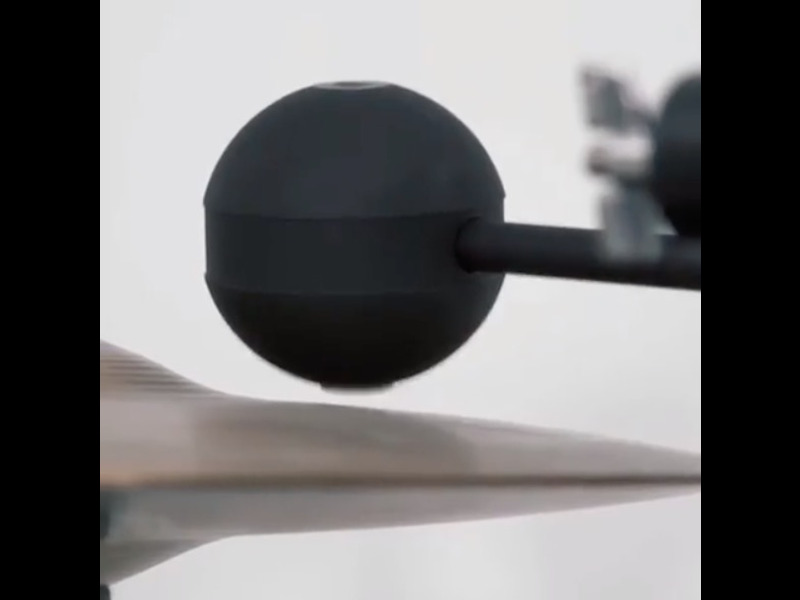 Perc can also be a great companion for your drum kit training techniques and everyday routines. Use it as a metronome or just feed it with crazily complicated MIDI rhythm files and try to follow it. Perc is crazy fast and is fully velocity and tempo controllable too. It can also serve as your additional hand or hands as our bodies are physically limited. • You can daisy-chain as many Perc controllers as needed by using their MIDI output and input ports. • The beater’s connector cable is 3 meters long, but you can extend it by using regular 5 pin DMX XLR cable. • The striker comes out from the beater for about 5 millimeters, which makes this is the longest distance the beater should be mounted from the instrument. There’s no smallest distance thought. 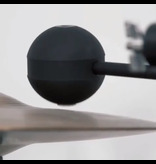 It’s up to you and the effect you want to achieve; the beater can touch the membrane of a kick drum for example. • There are three different types of strikers available – oak, aluminum and silicone and each of them will have a different effect on the same instrument. You can’t replace the striker by yourself, but remember that you can also attach different types of fabric on top of a striker to achieve what you need. • If the impact of a single Perc beater on a large drum instrument isn’t powerful enough, you can always use more than one beater on the same instrument. This will increase the impact.